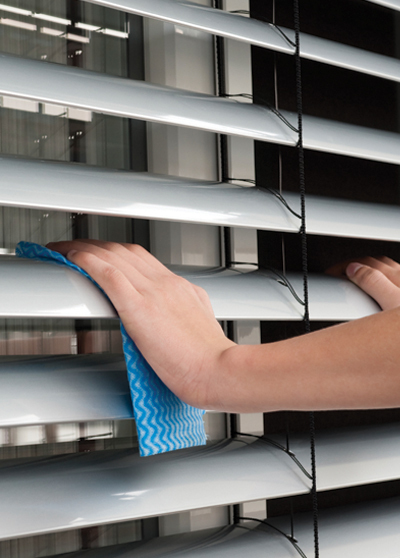 Let Callebs & Son Cleaning Service get your blinds looking like new again. Our tank utilizes high frequency sound waves, creating tiny vibrations which power the blind clean safely, effectively and quickly. When combined with warm water and a cleaning solution, sonic cleaning easily removes dust, dirt, grime, nicotine, bacteria. Virtually any type of window treatment can be cleaned with this method: mini-blinds, micro mini-blinds, silhouettes, luminettes, verticals, honeycombs and Roman shades just to name a few.